Just as we're huge advocates for unified marketing and sales teams, your SEO and content strategies should also be aligned. By marrying them, your SEO strategy can influence and improve the content your company produces. The goal of an inbound content strategy is to attract qualified visitors to your website, nurture them down your marketing and sales funnel and, finally, close them into a customer. But how can you hope to achieve that goal if your content isn't ranking well with search engines or if you have no clue what your buyers are searching? From editorial creation to publishing, your SEO and content strategies should be working together to help you generate high-quality and educational content. Why should you combine your SEO and content strategies? On-page engagement: By incorporating an SEO strategy, you can improve the search ranking of your content and attract more visitors to your website. This will increase the overall engagement rate with your content. Understanding the language of your searchers: Strategizing between these teams gives your content team better insight into what your visitors and buyers are searching. This understanding enables you to mirror this language in your own content, which will also increase your searchability and help searchers find your content. Answer their questions and provide solutions: Inbound marketing is centered on the idea of providing helpful and educational content. Use your SEO team to learn what questions your buyers are asking and then use your content strategy to answer those questions. Once they've found you as a source of this information, they will look to you for solutions to their problems. Mediocre content and oversaturation: In case you haven't noticed, the internet is filled with an overabundance of content — most of which is mediocre, unhelpful or otherwise bland. When you marry your SEO and content strategy, you can beat out this clutter with your own high-ranking, properly aligned, educational and quality content. The fundamentals of effective inbound content are actually quite similar to the tenets of the inbound marketing methodology. First, it should be educational and contextually relevant as you should always be solving for your prospects and adding value wherever you can. In the same vein, effective inbound content is aligned with the buyer's journey, so you can always provide the right content at the right time in order to nurture prospects through the funnel. Last, to help urge your prospects down your marketing and sales funnel, your content needs to provide points of conversion that prompt the next step of their buyer's journey. Any metric that points toward how well and how long your prospects are engaging with your content can help indicate the effectiveness of your strategy. How do pillar pages supplement your SEO and content strategies? A pillar page is everything you could ever know about a specific topic — all on one page. This single page of information covers any questions and definitions related to the topic to the point you start to question if it's too long (don't worry, it's not). This pillar page is then offered as a piece of ungated, downloadable content, so readers can continue referencing it after leaving your site and keep your company top of mind. Though they seem to defy everything you were taught, pillar pages actually work because they align with the fundamentals of inbound content. They're highly educational as they provide quick answers to user questions, they provide a conversion point and they foster those desired behavior metrics (time on page, bounce rate, pages per session). So how do you start building a pillar page strategy? Start with the pillar page itself: If you already have all of the information on a particular topic readily available, you can get to work organizing it within a single page. You can also supplement your existing information with interviews, your own experience and primary sources. However, jumping straight into a pillar page can consume a lot of time and resources. Start with individual blog posts: Conceptualize the main topic of your pillar page with 5-6 subtopics. Then, start writing individual blog posts and publishing them one at a time. As you continue to publish the blog posts, be sure to continually supplement with new research and data. Once completed, you can bring together bits and pieces of your separate blog posts into a cohesive pillar page. 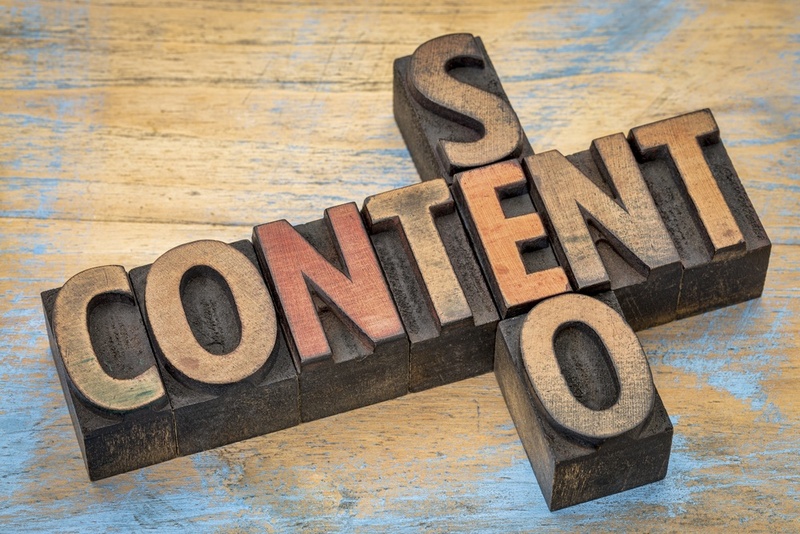 How does HubSpot's Content Strategy Tool supplement your SEO and content strategies? If you still need help conceptualizing your pillar page, you can use the topic clusters within HubSpot's Content Strategy Tool as a guide. By using topic clusters, you can better visualize and organize your existing content to identify a potential topic for a pillar page or to see gaps within your strategy. Once you've identified a pillar page topic, the Content Strategy Tool also provides suggested subtopics, gives the monthly search volume and rates the relevancy to your core topic. Furthermore, this tool has some powerful analytics associated with it, which shows you how well your topic clusters and subtopics are performing and which content areas are the strongest. HubSpot's Content Strategy Tool does a lot of the heavy lifting while you're building a pillar page strategy to save your team time and energy. Combining your SEO and content strategies makes them both more effective and drives more ROI for your company. Pillar pages are an excellent way of combining different pieces of content into a single, comprehensive source of information. A pillar page strategy supplements an inbound marketing program by maintaining the primary tenets of inbound. HubSpot's Content Strategy Tool is an excellent way to begin organizing and visualizing your pillar page strategy. So what are your next steps to start building out your pillar page strategy? Begin with a content audit to review your existing content and its current performance. You'll be able to identify clusters of similar content that would be an ideal target for a pillar page. You can also identify how previously produced blog posts could be re-optimized and improved with an SEO strategy.